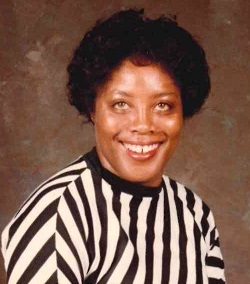 Patricia S. "Pat" Enoch, 64, a US Army Veteran of Graham passed away peacefully on Wednesday, November 14, 2018 at ARMC. Pat was born in Alamance County on September 13, 1954 the daughter of the late James David Stone and Pearl B. Troxler. She was a US Army Veteran serving our country honorably. In addition to her father she was preceded in death by a sister Sherry C. Evans. In addition to her mother Pearl, she leaves to cherish her memory husband Angelo Enoch; three step children, Jerome Faucette, LaMonte Rogers and LaQuante Rogers; five brothers, Robert Troxler, Jr., Robert D. Clegg, Donald D. Clegg, Gary V. Clegg and Tony W. Clegg; a special niece, Jayla Nicole Troxler; a special nephew, Namel C. Troxler and a host of God children, aunts, uncles, cousins and friends.